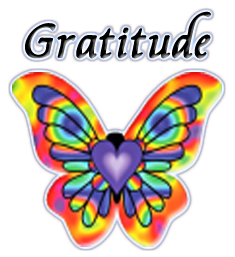 We wish to express our heartfelt gratitude to all the guides, angels and fairies for the amazing synchronicities we have experienced not only during the building of this Web Site but throughout our lives. So often in inexplicable ways, someone will come, offering a key to a door which must be unlocked and opened. There are many halls of learning and knowledge and there are many who come with keys to these doors. When the time is right, and when we are ready, we are shown and we are taught that which we need to know. Thank You wherever you are! To the brilliant and awe-inspiring authors - Thank You for sharing your knowledge with humanity. A company that is much more than it's owner Dr Ken Evoy but is more about his unique unification of all his co-workers and the owners of of a SBI website, all of whom play an intrinsic role in ensuring the success of the other. If it is on your mind to share your passion as we have, or for whatever other reason to build your own web site whether to make money to supplement your income or to replace your current occupation, there is only one way to do it SBI. The site "CSS Play" for some of the extra code. Deepak Chopra and Gary Zukav for your many inspirational books. Louise L. Hay, thank you for being such an inspiration and for the innumerable books and opportunities you've created through Hay House. Brandon Bays, thank you for sharing your journey with us. My very good friend Roy Aiken from Essentia Oils. With gratitude to all the wondrous people out there taking part in this magnificent tool we call the Internet, thank you that, at this momentous time, you are sharing so much knowledge and information, giving humankind the opportunity of understanding our unique and important role as creators and healers of our own realities and therefore of the "All That Is". Lastly but most importantly, in gratitude to the Creator for this magnificent opportunity we call life!